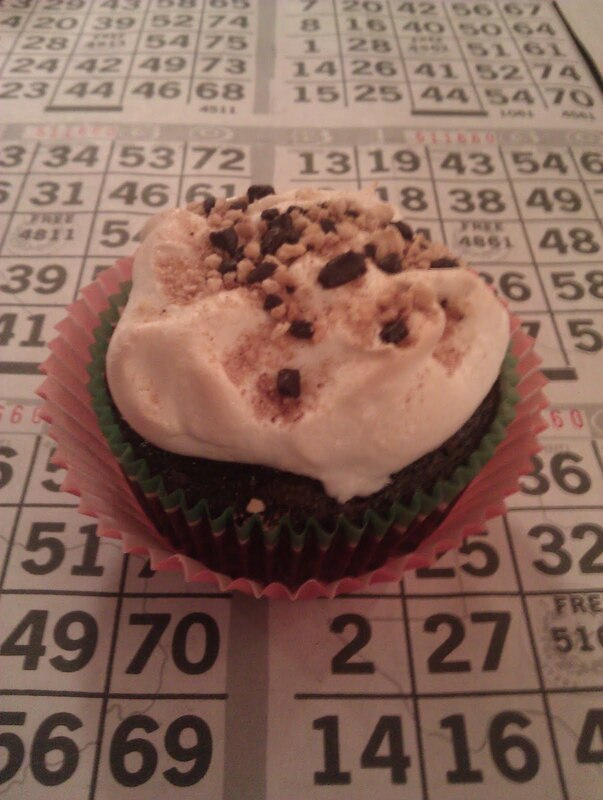 In honor of the Sandlot, and all campers out there, I decided to make some Smore's Cupcakes for my Bingo night with some friends of mine. 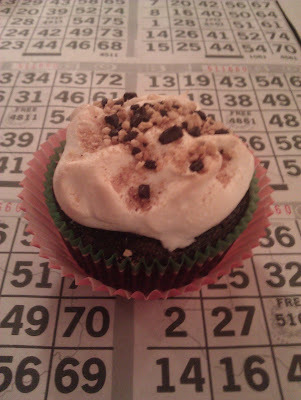 Next, let me first begin by saying that I didn't win any money that night playing Bingo, but the Cupcakes were a big hit in my mind. 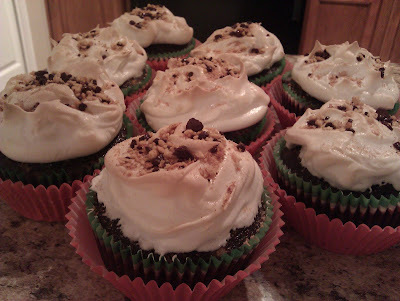 With a layer of Gram Cracker, Chocolate, and Marshmallow Fluff, I couldn't be any happier! Update 2/17/12: I combined two different recipe's to make these. I wish I could remember what I did! Go to Annie's Eats and 52 Kitchen Adventures for the recipes!